Hi, we’re Aisha and Dave. We launched the Teaching Gab to share what we’ve learned in 20 years of teaching and in our years as parents. 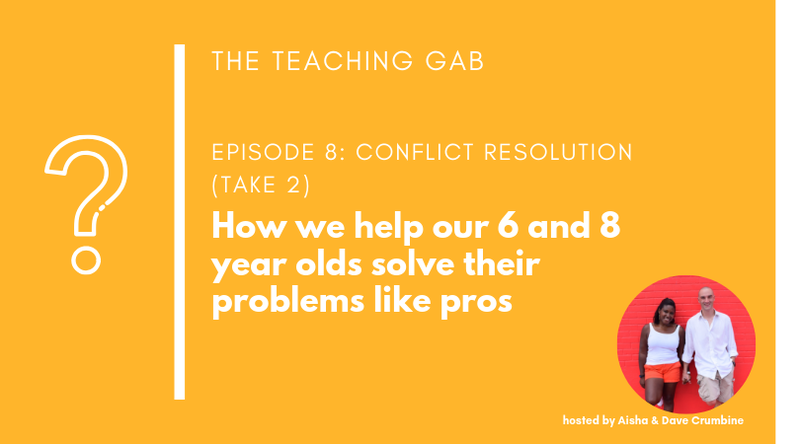 Welcome to The Teaching Gab, where we gab about the gap and do our best to find strong solutions to teacher and parent problems. 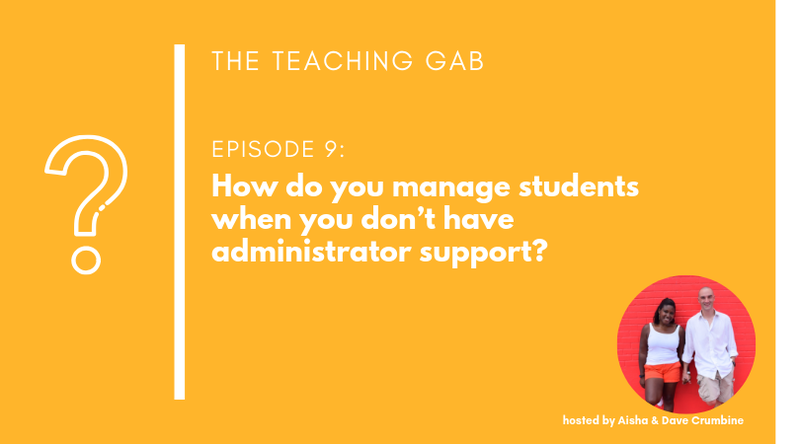 We received questions from a couple of our listeners who wanted to know our take on homework, how to prepare for a sub, and how to manage students without admin support. We dive right in and share our thoughts along with actionable steps teachers, admins and parents can take to move forward. The strength of the relationship determines your progress. Culture drives the academics; academics don’t drive the culture. Links referenced in this post: 1) Weed out fake Amazon reviews with Fakespot.com and Reviewmata.com; 2) English teachers and parents can help their kids write better using Hemingwayapp.com. This episode was sponsored by Home Chef, Home Cooking Made Easy. Use our link and save $30 on your first (of many) orders: Teaching Gab loves Home Chef. Download The Conflict Resolution Template here. We revisit the subject of our most popular episode to date: conflict resolution. We do an express cast to recap and provide a printable template with the 10 steps you can use to help anyone move through conflict: siblings, friends, and even partners (ehem). This episode is sponsored by Brandless, where you pay $3 for the product and not more for the brand. Use our link for $6 off an order of $39: Teaching Gab loves Brandless. Shoutout to Brandless, where you pay $3 for the product and not the brand. Use our link for $6 off an order of $39: Teaching Gab loves Brandless. Two school-aged kids rarely make for a stress-free morning, but we’ve found the silver bullet that helps us get out of the house on time, every time. No nagging. No stress. Links mentioned this episode: 1) Tile (for all of the things you lose), 2) FollowUpThen (never forget to circle back), 3) O’Keefe’s Working Hands Cream (for softer winter hands), 4) Full Focus Planner by Michael Hyatt, 5) InboxPause, 6) StrikeThru, and 7) The Bullet Journal. Sponsored by LiveSchool for sponsoring episode 5! Our relationship with parents is critical to student success, but that doesn't mean it's always easy. 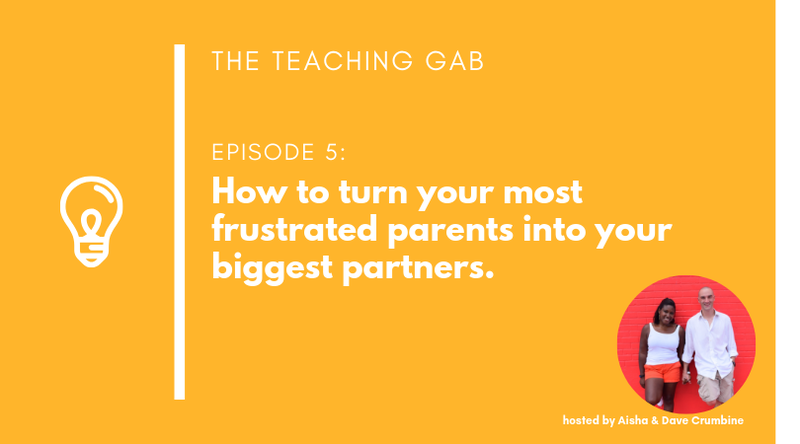 In Episode 5 of The Teaching Gab, Dave and I share the strategy we used to turn our most frustrated parents into our biggest partners. Episode 4: What do I do when so many of my students fail an assessment? First year teacher and Teaching Gab listener, Erin Elizabeth sent us this question: So many of my students failed a test I just gave, and they don't seem to care. What can I do? Tune in as we share what we did to reach and invest struggling students in their learning, as well as easy ways to assess student progress before the big test. Teaching kids how to resolve conflict isn’t something you do once. You do it repeatedly. When your little one gets to middle school, the amount of conflict/drama increases. Here’s how we apply our resolution framework when working with teens. One of our most popular episodes to date. 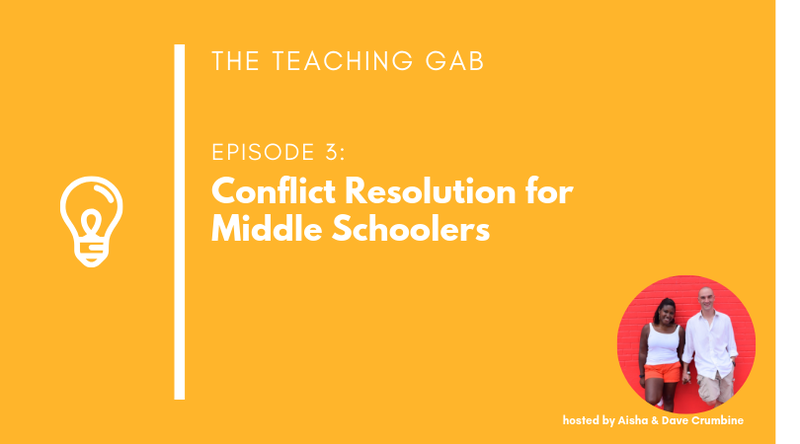 Tune in to learn how helping students resolve conflict can pay off big in the classroom. Have a question you want us to answer on The Teaching Gab? Send us your questions at teachinggab@gmail.com or leave us a voice memo at 832.819.5166.